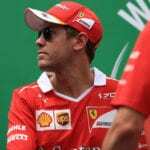 With the gap between championship leader Lewis Hamilton and nearest challenger Sebastian Vettel now standing at 34 points, with just five races to go, the feeling is creeping in that it might just be too much of a challenge for the Ferrari driver to overcome. Formula One returned with a bang on Sunday. 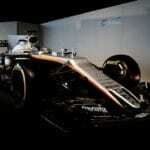 Laura Leslie takes you through the best F1 stats and facts to emerge from an eye-opening grand prix weekend. For the first time since 1994, the reigning F1 World Champion won't be on the starting grid come the season opener, yet Laura Leslie explains that Nico Rosberg's absence isn't that bad. 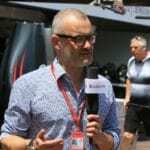 In part two of his interview with Rob Watts, Marc turns to the 2017 F1 technical regulations and explains why Formula One can learn a lot from Formula E.